Modern thoughts and ideas though are catching up in the nation, but fact remains that we always lack behind westerners when it comes to display of vision or preparation. 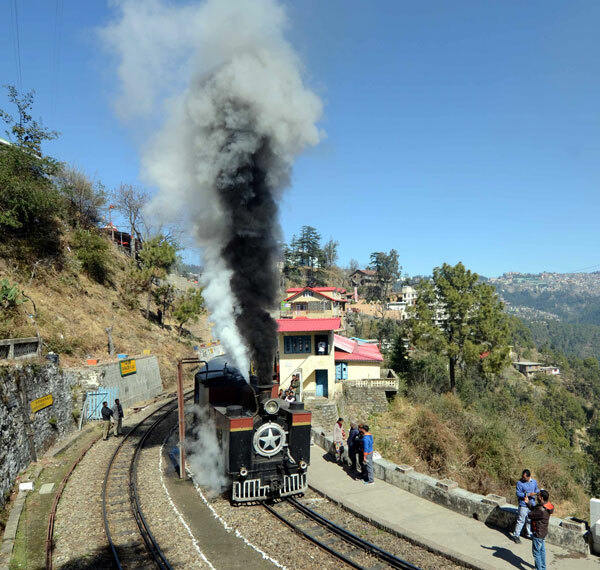 Recent example comes from the incidence when due to the steam engine on the heritage Kalka Shimla track a fire was reported in the jungle. The villagers enroute reported that the sparks coming off the steam engine, caused the fire in the jungle which has mostly pine trees in it. “Back in India, steam railways and heritage lines remain a neglected subject, even though there is a huge demand for their restoration and maintenance from enthusiasts across the world,” was reported by Forbes some years back. Based on demand the Indian railways decided to bring back steam engines for heritage routes of Kalka – Shimla and Darjeeling – Siliguri and Matheran, aiming to give a fillip to heritage conservation. All planned for a good cause went into a dilemma with incidents like these which evidently point that something is lacking in the planning for such action. “In our country when a steam engine is run for heritage tourism purpose then it is compulsorily trailed by a water tanker. This was stated by Janet Holham a British national who also was travelling to Shimla by the toy train on same day when this incidence took place. She said that the water tanker keeps spraying on the track thus extinguishing any coal sparks which might get left behind the “Chuk Chuk”, she added. She was travelling on the 12.10 train to Shimla on the day when the fire occurred. “ We are not opposed to reviving the steam engine, for tourism purpose but the railways should take proper precaution, “ was stated By Mahender Kumar Pradhan of Ananpur villages, where the fire broke off due to coal spark of the engine. Janet said” When the train reached Kandaghat station I saw traces of coal sparks on the railway line”. Thereafter I asked my guide about it who informed that there was steam train running on the track for tourism purpose,” added Janet. She said things became clear when on reaching a little ahead on the track towards Shimla smoke was witnessed in the jungle, with evident coal sparks traces on the railway line, she affirmed.